How many TV shows can you name that star a chemist as hero and feature references to reductive amination? I can think of only one. Breaking Bad is by far and away my favorite show on TV. It’s got a truly addictive combination: intriguing premise, great scriptwriting, great directing and strong acting talent. And honestly, I’m hooked. In addition to all the other things I love about BB, it occasionally gets around to some chemistry. Yeah, I know, the science of BB isn’t flawless, but let’s be fair: by Hollywood standards, it’s great. These folks did their research. In a way they had to, because the show is after all about a chemistry teacher who turns to cooking meth. And while the chemistry of a meth lab isn’t horrifically complicated, it’s more so than it appears at first glance. Let’s focus on C2 for a minute (the carbon right next to the nitrogen, second carbon away from the ring). It’s got a methyl group (CH3) and a hydrogen attached to it. Let’s say I swap the hydrogen and the methyl group so the methyl group is now sticking back into the screen and the hydrogen is sticking out. The result is a mirror image of the original molecule called R-methamphetamine(the original molecule is S-meth)*. And it doesn’t matter how you rotate or flip R-meth and S-meth around — you can never superimpose the one on the other. Just like your hands, they are mirror images that will never align. Chemists call mirror-image molecules like these enantiomers. My favorite example of cool enantiomers in nature is R-carvone, the molecule that gives spearmint its scent. The mirror image of R-carvone is S-carvone, the molecule that gives caraway seeds their scent. R-carvone and S-carvone are alike in every way except they’re mirror images of each other. And your nose can tell the difference. So here’s the neat thing about meth. While S-meth is a highly addictive drug, R–meth is a legal decongestant you can buy at the supermarket. Same chemical formula, same structure except it’s a mirror image of the street drug. Each mirror image binds to different proteins, just like the way your right foot fits into your right shoe and your left foot into your left — but not the other way around. And that’s why one enantiomer causes vasoconstriction while the other gets you high. For the Walter Whites of the world, that’s a problem. If you could just take R-meth and magically swap that hydrogen and methyl group around, you could make meth from the stuff you have in Vicks inhalers. Unfortunately (or fortunately, perhaps?) it’s not that easy. Any time you want to alter a molecule, you have to do so by means of a chemical reaction — take it and react it with something else that will give you the change or alteration you want. There’s no simple sequence of reactions that will convert R-meth into S-meth, so you have to do something else. Walter uses two different methods. We’ll take a quick look at each. In Season 1 Walter uses the most popular route. It starts with a compound called pseudoephedrine or pseudo, a decongestant found in medications like Sudafed. Pseudoephedrine. My drawing. Walter could also make S-meth from ephedrine using the same process, but pseudoephedrine is easier for him to obtain. The black wedge means a bond sticking out of the screen, while the dashed hash mark indicates a bond sticking into the screen. So the good news here is that the methyl group and hydrogen on C2 are already in the correct orientation we need for S-meth, the street drug. All we have to do is get rid of that pesky OH or hydroxyl group. Walter opts to use hydroiodic acid (HI) and red phosphorus. Usually meth cooks get the red phosphorus from matchbook striker pads and combine it with iodine and water to make their hydroiodic acid. This approach is so popular the DEA monitors sales of iodine crystals and iodine tinctures to keep meth cooks away from the ingredients they need. Combining the HI with red phosphorus, water and pseudoephedrine replaces the -OH on pseudo with an -H, yielding S-meth. Straightforward as it sounds, this method can be hazardous to the inexperienced. Heating red phosphorus and an acid like HI can generate a fish-scented, poisonous gas called phosphine or PH3. Indeed, red phosphorus actually reacts slowly with moisture in the air to make trace amounts of the gas at room temperature. And while it’s much less dangerous than white phosphorus, red phosphorus is still very flammable. Not to mention the hydroiodic acid, which is a strong acid and thus highly corrosive. The key limitation from the meth cook’s point of view, however, is pseudoephedrine itself. You can’t go by your local drug store and pick up a couple hundred boxes of decongestant pills; the store clerk will call the cops, and you’ll have some explaining to do. In Season 2 of Breaking Bad, Walter unwisely promises four pounds of meth to brutal drug lord Tuco — due by next week. Jesse is understandably horrified. He points out there’s no way they can get that much pseudo so soon. That’s why Walter and Jesse switch to plan B, the older P2P method. And here they run into a couple problems. All you need to do is replace that double-bonded oxygen with a nitrogen that has a methyl (CH3) group attached to it, and bingo! there’s methamphetamine. And there’s a name for a nitrogen (an amine) that has a methyl group attached to it: methylamine. Which is why Walter wants to get his hands on some of that stuff. The DEA is keenly aware you can use P2P to make meth, so it’s a controlled substance. That’s why Walter chooses to synthesize his own P2P starting from phenylacetic acid. The trademark blue color of Walt’s meth, by the by, is actually a little odd. High-purity meth is clear in color. A blue tint suggests an impurity, but there’s no impurities in the P2P process Walter is using that should color his final product blue. Is Walter deliberately adding a dash of something else? The show doesn’t say. And now we come to the most puzzling thing of all. which looks like methamphetamine but with one key difference: the double bond between that nitrogen and our C2. We need to add two hydrogen atoms and two electrons — the equivalent of a molecule of H2 — to this molecule to get rid of that double bond. In other words, we need to reduce the molecule, and that’s what Walter means by reductive amination. He could do this in a number of different ways — by including aluminum-mercury amalgam in the reaction mix, for example, and in fact Jesse does precisely that when trying to copycat Walter’s recipe in Season 3. Walter doesn’t say, however, whether that’s what he is doing as well. Great question, Walt! Now could you answer it for us please? True, there are techniques you can use to separate or “resolve” two enantiomers, but they’d make the whole process much more complicated and time-consuming. Moreover, Walt seems almost unnaturally proud of his formula, which seems to imply he’s thought of something clever. So what’s going on? Come on, Walt. For the love of science, don’t hold out on us. Share your secret. The chemistry nerds in your audience would like to know. Coming up in the next post: How a patented children’s cough suppressant became the world’s most dangerous illegal drug. *Note to the chemists/biochemists & students out there: I prefer using the R and S naming convention to the old D- and L- except where sugars are concerned. That’s why I used R and S in this post. In case you’re wondering, though, S-meth is the dextrorotatory enantiomer, and if you go by the old D- and L- naming convention it’s D-. This entry was posted in Biochemistry, Chemistry and tagged biochemistry, Breaking Bad, chemistry, crystal meth, drugs, meth, methamphetamine, pseudoephedrine, science by puffthemutantdragon. Bookmark the permalink. I guessing that there has never been a discovery yet that makes this stuff without the Pseudoephedrine?? Isn’t it obvious? The camera always cuts away when he performs a large-scale reduction in the big reactor. I assume he’s using Selectride, or perhaps a fancy reductase. Not sure if anyone’s still reading this forum but I’ve just been doing some reading and it appears you can produce a blue methamphetamine if during crystallization you filter the HCI through the methamphetamine free base under pressure (HCI from steel-made gas-generator -max pressure 5-7 bar). Though I’m not whether Walt uses this process in the show. Mr White uses CO2 during crystallisation, as he explains it to Tod in some of the last episodes in season 5. I have still one question about that season: why is one jug with a label “cyfluthrin” on it? My best quess is, that it’s not a controlled substance in New Mexico, and there isn’t actually this pesticide in it but something else that would smell the same. This is good, but backwards in the isomer names. D-methamphetamine is the R isomer, not the S.
The molecule in the post (the ball-and-stick model) is the S-enantiomer, and you can tell that out just by looking at it. D- and L- is a little bit trickier, but what you want to do is draw a Fischer projection of C2 and compare it to the Fischer projection of D-glyceraldehyde. You’ll find that the molecule shown above is S- and D-. or any of the other scientific literature on meth. Remember that D- does not necessarily imply dextrotatory; in this case the D- form happens to be the dextrorotatory form, but that doesn’t necessarily follow. As I recall from the early seasons, Walt needs Jesse to score a tube furnace because they make phenyl acetone from benzene and acetone. Not sure if this would actually work. I’m pretty sure they were using phenylacetic acid…see clip at beginning of post. Not sure how they got ahold of all that phenylacetic acid since it’s controlled too though. The appropriate word is actually stereospecific. By definition it is “Preferentially producing a particular stereoisomeric form of the product, irrespective of the configuration of the reactant” (google). Enantiospecific is not particularly a term I am familiar with, so you may be right. One question. The wikipedia page for Pseudo shows the carbon chain as having different angles along the bonds, sort of curving around the benzo ring. Is this just a stylistic choice, or does removing the Oxygen atom cause the carbon atoms to realign the carbon bonds into a straight line? That’s a good question. In molecules like these, the atoms at either end of a SINGLE bond can rotate, but the atoms at either end of a DOUBLE bond cannot. 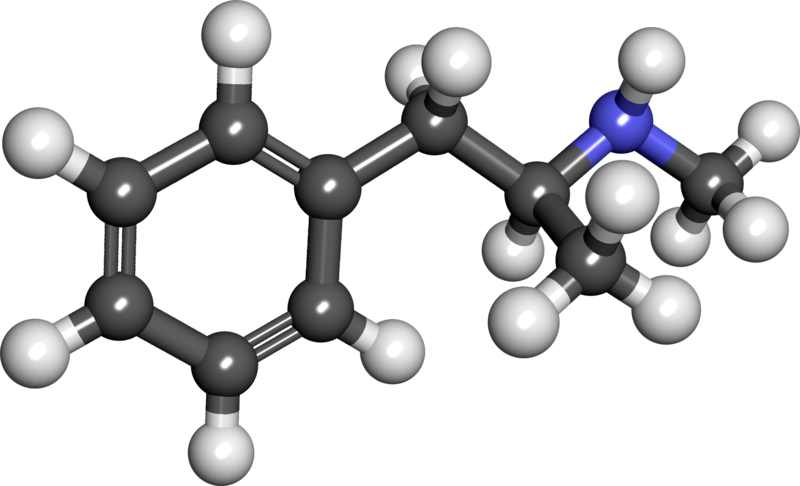 So you could draw pseudoephedrine either the way I’ve drawn it or the way Wikipedia’s drawn it and you would be correct because C2 can rotate — which way you draw it is really just a stylistic choice. Amphetamine and Methamphetamine are NOT *illegal drugs*. They are legally scheduled substances * schedule 2* which can be prescribed for a variety of aliments. They are *Illegal* when they are manufactured and / or sold without a proper permit or prescription. My bad, that’s a good point. I guess they can legally be prescribed for some conditions. The way Walter White is making and selling meth though is definitely illegal! So is it true @ what he says that the writers have made mistake about that scene or he is wrong. In the show they make it clear that the tank contain aqueous methlyamine..thay is, methylamine dissolved in water. Methylamine is a gas. A real pain to use, transport, etc. So it is almost always sold as a solution on water, methanol or THF. OK wow now that is one really cool dragon! Seriously. Wow, Reddit finds you and all of a sudden I’m not the only person commenting on your blog. How big was the change in readership on the last few posts? Well, about a month ago there were ~100 people following the blog either via email or Feedburner or some other service plus whoever follows on Facebook. Now it’s more like ~230, and traffic has gone up by a similar amount. The drug-related posts definitely get a lot of hits — about 26,000 so far and still going up — although a number of the previous posts also did well. “Does beer make you blush?” for example got a lot of hits, and “what does toxic really mean?” got a lot too. Over-nerdy, unreadable posts, by contrast, don’t get that many hits. You have to find and stay close to that fine line between “too nerdy” and “not nerdy enough”. In different episodes where they show “cooking” in the meth superlab, shredded aluminum is shown being added. Is aluminum part of the P2P method, and if so, why? Probably because a mercury/aluminum amalgam is being used to reduce the P2P-methylamine imine. This is inaccurate. Both amphetamine (brand names Adderall and Dexedrine) and methamphetamine (brand name Desoxyn) are legal to purchase and possess in the United States with a doctor’s prescription. Both are most commonly used for ADHD. Great stuff! I stumbled across this blog because I asked myself why didn’t Walter just make the methylamine, I’m no chemist, don’t even remember basic HS chem, and I’m certainly no Walter White and after a few mins reading about methylamine It seems that Walter could easily get his hands on ammonia and methanol without attracting too much attention instead of stealing the methylamine and instead of his Jesse James maneuver, then again if he didn’t we wouldn’t have had probably the greatest BB episode and I wouldn’t have come across such an awesome blog. Was I wrong to make the conclusion that he could easily have gotten ammonia and methanol which aren’t listed by the DEA as precursors and with his skill, avoided all the heat and drama caused by the need for methylamine? Or I could be taking this too seriously but that part of the reason why the show is so good, because you’re actually learning about such a tightly guarded scientific subject, and from what I’ve gathered both from your blog and my own readings is that it is somewhat accurate. No, I agree. He didn’t need to steal methylamine, he could have made it fairly easily. But I’m guessing the scriptwriters wanted a theft scene to add some more drama and complicate the plot. Just a little info: methylamine can be easily made from formaldehyde and ammonia chloride in excellent yields in about 8 hours, to obtain methylamine hydrochloride, which can be treated with sodium hydroxide solution to make methylamine gas. . Remember that the time of a reaction stays the same no matter the amount. It takes 8 hours to make 2000 grams of methylamine hydrochloride and it takes 8 hours to make 2000 kilo tons as well. Only the amount of the reactants change.The writers have had him steal a chemical that any 2 year student knows how to make from readily available chemicals.Regardless of the needed drama for TV, this seems to make him out to be a idiot to those who know a little about chemistry. Nope. Methanol plus ammonia do not react with each other. Not true. For a street drug, a racemate is not a problem. The potency will of course be 50% of the active enantiomer, but people will still get quite high. It doesn’t. Walter is either bluffing, or the chemistry is incorrect. The reductive amination of P2P with methylamine CANNOT yield a pure enantiomer. (There are methods to do this by addition of chiral ligands, but there is no way they are doing this on the show). There is absolutely no way that Walter is doing a chiral separation. It is completely unneccesary and would take more effort than the synthesis. Walter is bragging about the purity of the racemate when he says it is 99% pure. A standard GC column will not show each enantiomer. It will come out as one single peak, thus the high purity. Walt is either trying to impress Victor, or the writers are taking liberties with the science. Either way. it CANNOT be correct. I’ve been thinking about this; What if he added a chiral catalyst that accelerated the reaction? It has been a while since I’ve taken organic chem, but can’t you sometimes add chirality to achrail reactants with a chiral catalyst? Yes, you can. But they are often expensive, hard to come by and may or may not work, depending on the substrate and chiral ligand. This show is not a JOC paper. No cook in his right mind would even consider this. That depends. You could use a lead or mercury catalyst and no one will call the FDA on you. We know of lots of catalysts they can’t use in industry due to the fact they are toxic at ppm levels. Also, catalysts are probably unregulated, since what meth cook is going to use a chiral catalyst as they can just make twice as much meth the crude way? No one in their right mind would do a chiral synthesis to make a street drug. For many reasons, for instance, where are you going to get pounds of the chiral ligand? As for your last point, which you can theoretically make twice as much meth from pseudo, you could never buy enough of it to even approach the quantities Walter is making. Not even close. So the racemic phenylacetone methylamine route is the only one that makes sense. But it won’t be chiral. And no one will care. you are wrong, everybody in the ilicit manufacture want to produce only the good enantiomer, they pay drs. in chemistry to do that, they not escatimate on money, and they want to do that, because the racemic not cristallize on big shards like the only one enantiomer separates, so walt is doing just one isomer, im sure of that because the product is in crystal mode. or u know how crystalize in crystal rock the racemic mixture? i would by surprise! No- YOU are wrong. No one would EVER make chiral meth for use of a street drug. It is simply too difficult, requires chiral ligands (which are very expensive and not available in huge quantities) and no one who smoked the stuff would ever know the difference (except they would only need half as much). This is one of the few times that they played it loose with the chemistry. The other notable one being the blue color (which is not possible—they added this as a plot device to distinguish Walt’s product from the others). And the more pure the product is, the less likely it is to have ANY color. And even if there was a colored impurity, it would be yellow, not blue, which is very rare. to Mike I dont understand 40 years ago or today you mention the citys water supply,you make it sound like distilled water was not available?Im no chemist and I`m not saying you are incorrect just that blogs I have read as well as other bits of literature I have only read that distilled water was used to assure of no impurities? Clearly none of you guys have actually done this drug, or the ones that have, have not tried racemic meth. Sure, R-meth, by itself, is not very active in the CNS, and it does not cause a massive wave of pleasure AND inhibits dopamine reuptake, causing this feeling of pleasure to last. It is active nevertheless. It causes your heartbeat to go up, it makes your body temperature go up, and just kind of produces a general “body” high. S-Meth is however what releases the dopamine, and therefore it is the isomer that is extremely addictive. Racemic meth, for some odd reason, feels a lot more potent than just S-Meth. You see, tolerance for Meth builds up VERY fast, and what a lot of users don’t realize, is that you can only get as high as your dopamine supply and receptors will let you. It is easy to reach a point where you are high and more S-meth will do nothing… yet people keep smoking it, which causes more side effect with no increase in pleasure due to dopamine depletion, etc. Therefore, the addition of the R-meth causes extra “pleasant” effects compared to straight S-meth. Anyway – like I said, R-meth is pretty boring by itself, but if taken alongside S-meth, it will potentiate its effects…. A LOT. Ask any tweaker who has tried both and actually knew there was a difference. They will all tell you that the P2P route, and the racemic meth, where rocket fuel, and the reason why meth became so popular. Because quite frankly, S-meth on its own, while being a pretty strong drug, is pretty boring compared to P2p meth. 2) P2P dope lasts a long time and people wouldn’t be coming back as often to re-up. I can testify to that as fact, that The high from Racemic meth is far superior. I did crank back in the 80’s and there is nooo comparison to crap today. Could not understand the difference in high, after all- being same compound. I knew the difference with crank being a Racemic mix of 50% 50% & Meth being all D or + isomer. So you are saying that the R-meth inhibits dopamine reuptake, causing this feeling of pleasure to last. Is that what your saying guy? Thanks for the schooling and enlightening me. My guess at answering your question is that the precision of the lattice is somehow effected through the production of both isomers. That’s complete bs talk, but i was thinking along the lines of how you might make a complicated design symmetric by drafting half, conforming a duplicate, and mirroring it. I would figure that vince gilligan approaches the nature of white’s genius from an arts-related prospective. As was stated above, many meth users claim to prefer the racemic product over the enantiomerically pure product. So-called “prope dope” is supposed to be “smoother” and less “nerve jangling” than the d-meth procured by reduction of pseudoephedrine. Personally, I have only tried d,l-meth (no doubt unusual among meth users), and I can attest that it is a perfectly good high. P2P meth is often pinkish in color due to traces of P2P in the finished methamphetamine that gets polymerized in the presence of hydrogen chloride during the gassing stage. Very interesting. Just wanted to add that the reason Walt’s meth is blue is probably for the same reason that actual ice in televised figure skating and hockey games are – it shows up better on TV. Sounds like a good bet, plus it lets the DEA know which product is his. True, but the real reason is that it is a plot device that sets Walt’s product aside from the others. And is beautiful to look at (which goes along with the amazing cinematography for the whole show). They probably took sugar (or whatever) and added blue dye. Meth is NOT blue. In season 1 he said the product had to be pure and sable or something to that effect, he would not even allow chili pepper to be added. So I can not see him alerting the blue be there due to any intentional contamination( recall the fly in the lab). I know some types of reactions favor one enantiomer over the other when the pH is shifted, could be. It is a great show and does not hide the horrors of addiction like some. I have worked with many addicts and drugs are only fun until they take everything else away. Be careful. First off I want to say excellent blog! I had a quick question which I’d like to ask if you do not mind. I was curious to find out how you center yourself and clear your mind prior to writing. I have had a tough time clearing my thoughts in getting my thoughts out there. I do enjoy writing but it just seems like the first 10 to 15 minutes are generally wasted just trying to figure out how to begin. Any recommendations or tips? Thanks! Actually there’s no mystery. You can prepare enantiomeric pure amphetamines directly but you need something like (S)-alpha-methylbenzylamine. The article which discusses this is Nichols et al., Asymmetric Synthesis of Psychotomimetic Phenylisopropylamines, J. Med. Chem. 16(5) (1973) 480-3. Chemically correct. But impractical and unfeasible for large scale production of a street drug. His product is NOT chiral. This is a plot device. So if I understand right it would be more accurate for phenylacetic acid to be the ingredient that’s hard to come by instead of methylamine like on the show? I wonder why they didn’t do it that way? You might want to check your info. Phenylacetic acid + Ac2O + NaOAc yields P2P? It sure doesn’t. Where does the methyl group come from? How are you going to form the new C-C bond?